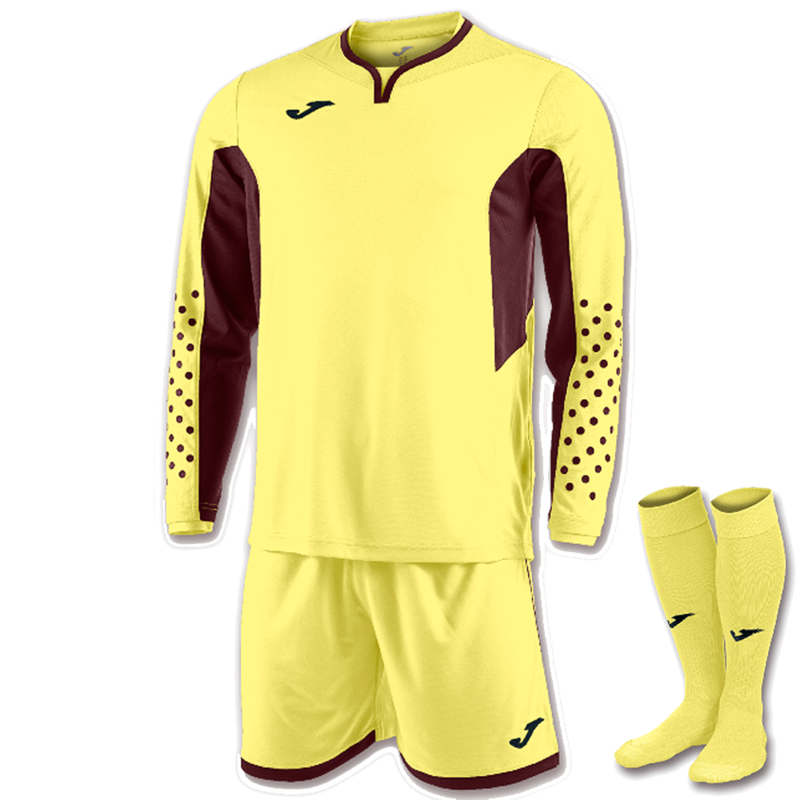 The Joma Zamora III Goalkeeper Kit features matching colored shirt, short and sock. Be the best dressed goalie out there! 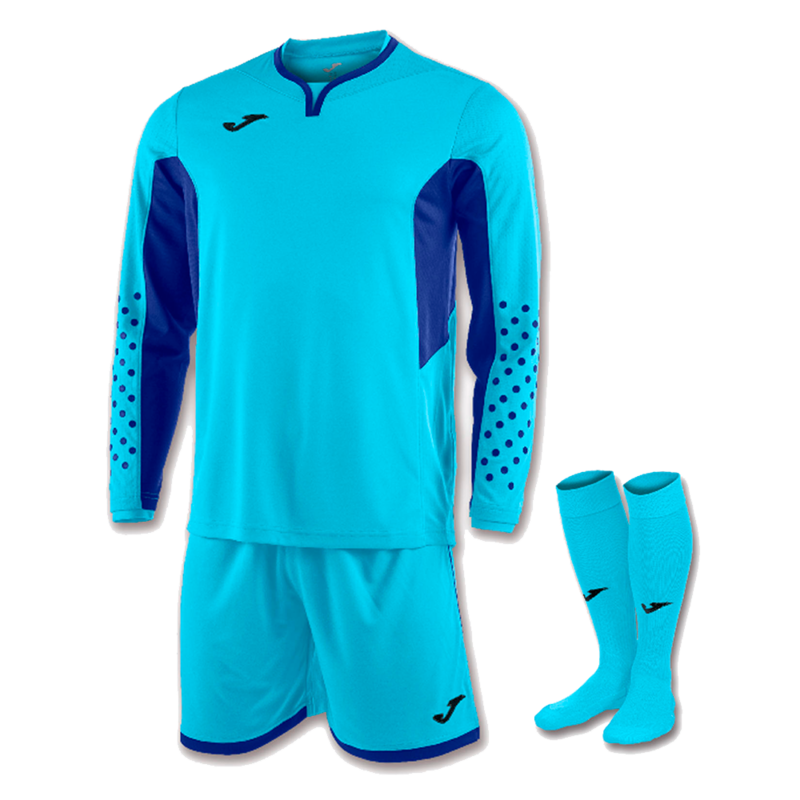 The Zamora matching goalie kit is made from 100% polyester interlock material to ensure extreme softness and comfort for the goalkeeper. 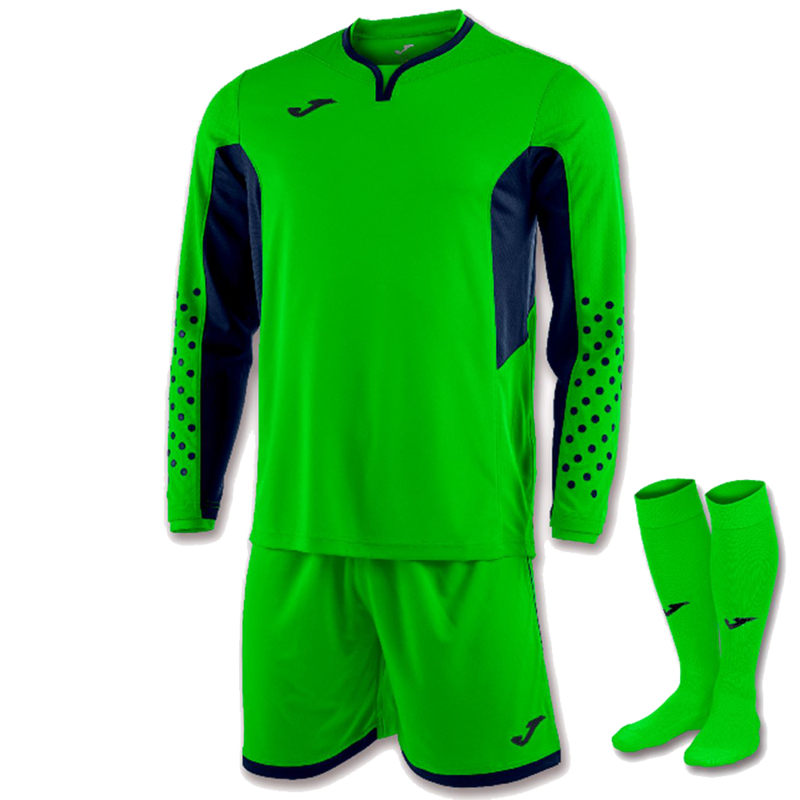 The underarms and sides feature Micro-Mesh technology to improve the breathability of the kit. The waist is elastic with a drawstring which makes for a more comfortable fit. 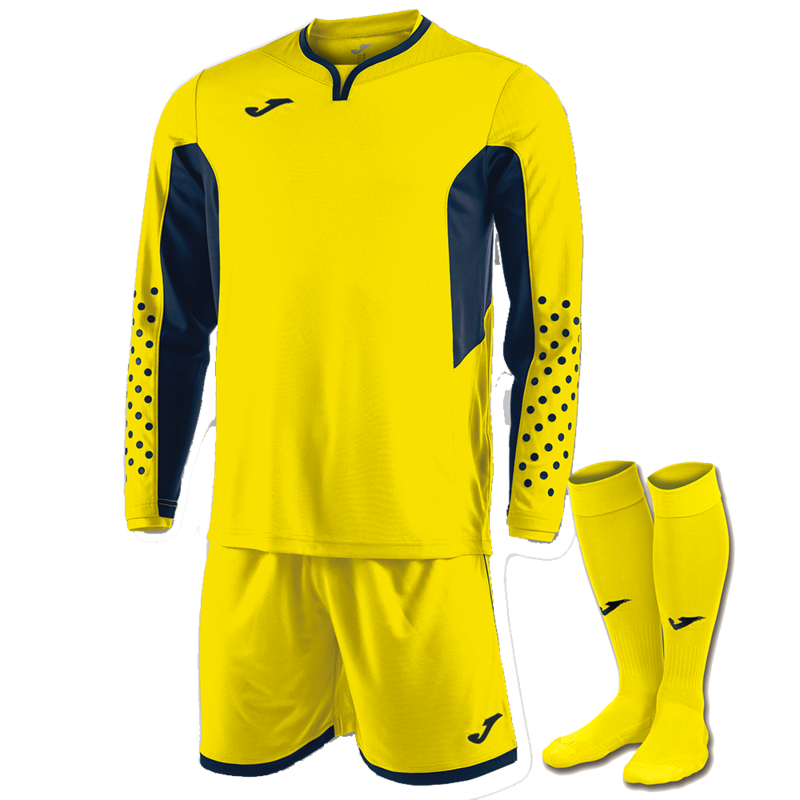 This kit includes a jersey, shorts, and socks. 7 Colors available: Blue, Green, Black, Red (Tangerine Red), Yellow, Coral and Fluo Yellow. 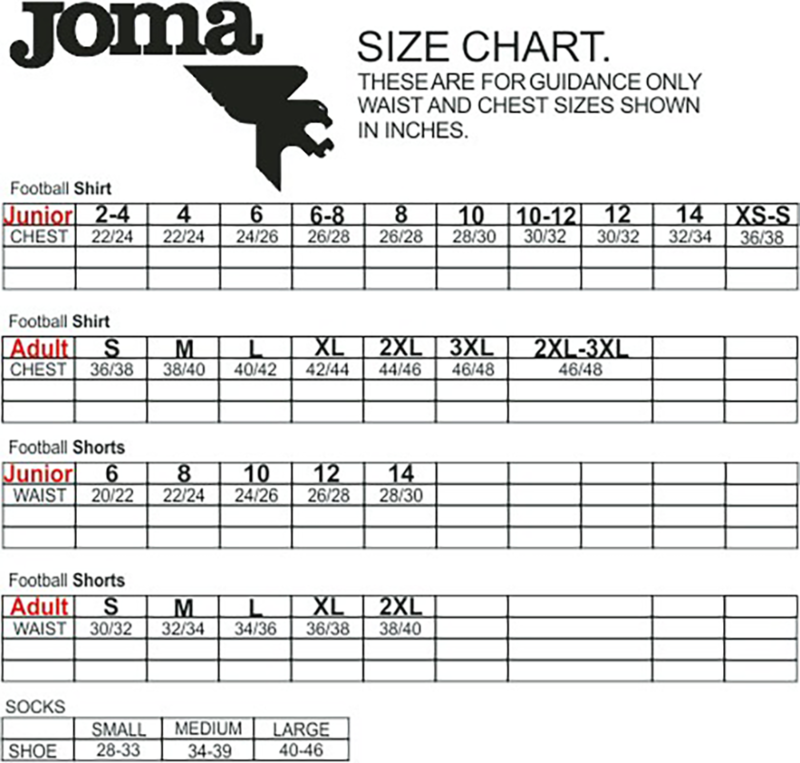 Sizing is from YM (2XS) to XXL. AS - Goalkeeper is 5 feet to 5' 4 inches and 110 - 130 lbs. AXXL - Over 6'3" and 220 lbs. Call us with sizing questions! 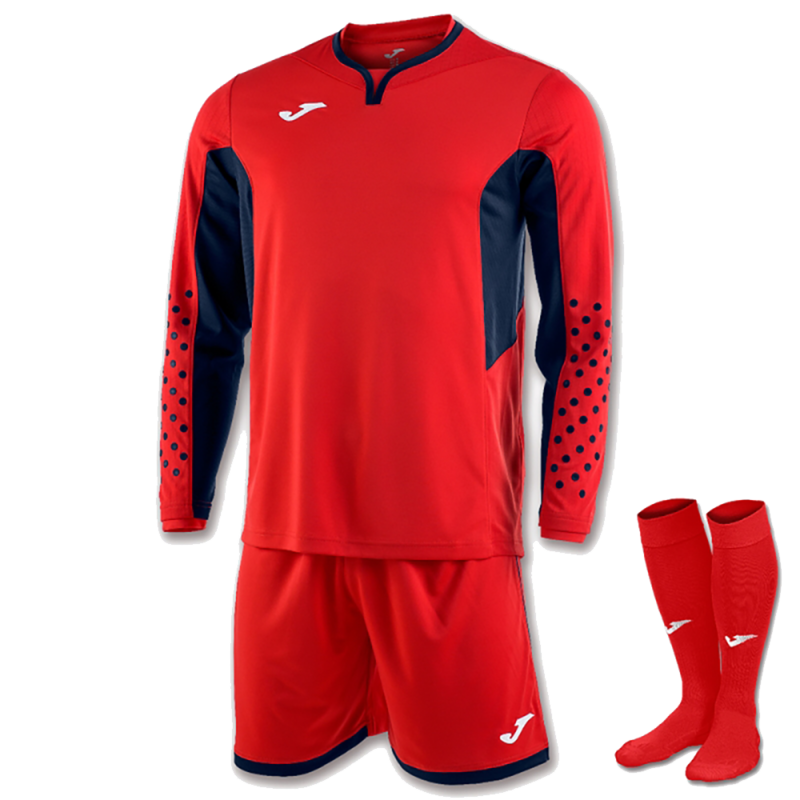 The jersey is designed with a double collar that includes inner ribbing giving the goalkeeper a more comfortable fit. 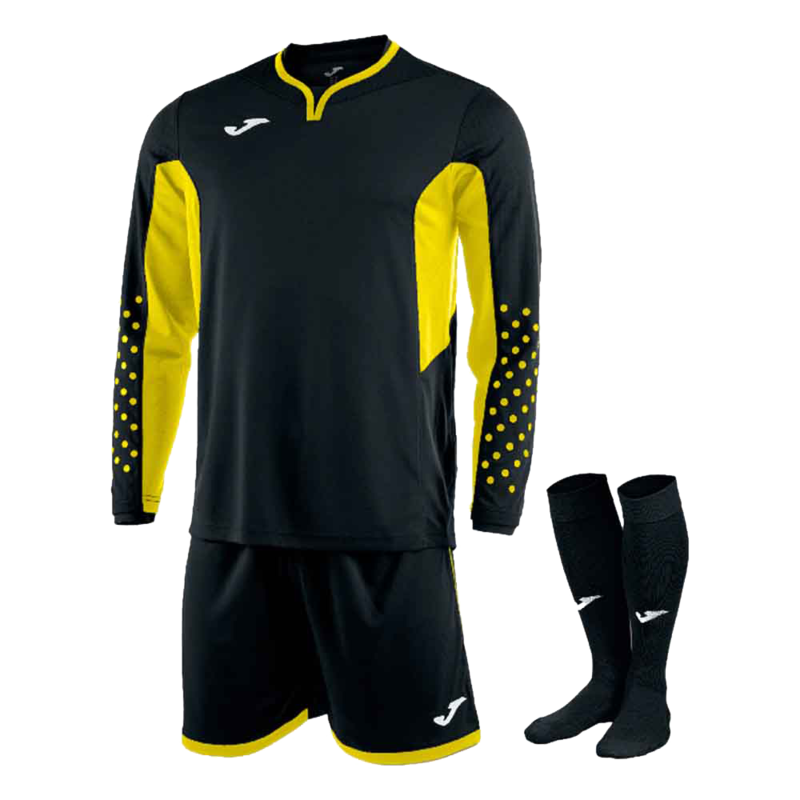 We love this uniform kit! The turn around service between the time I ordered this and the time I received it was DAYS! I ordered this same uniform from another company in a color that wasn't available on this site and it took over a MONTH to receive it! I am so happy I found this site!!! I would definitely order from here again! Very fast shipping and looks great! The red is more of a red-orange color. Customer service is excellent. I had several questions and they were very responsive and helpful. I will be purchasing from them in the future. 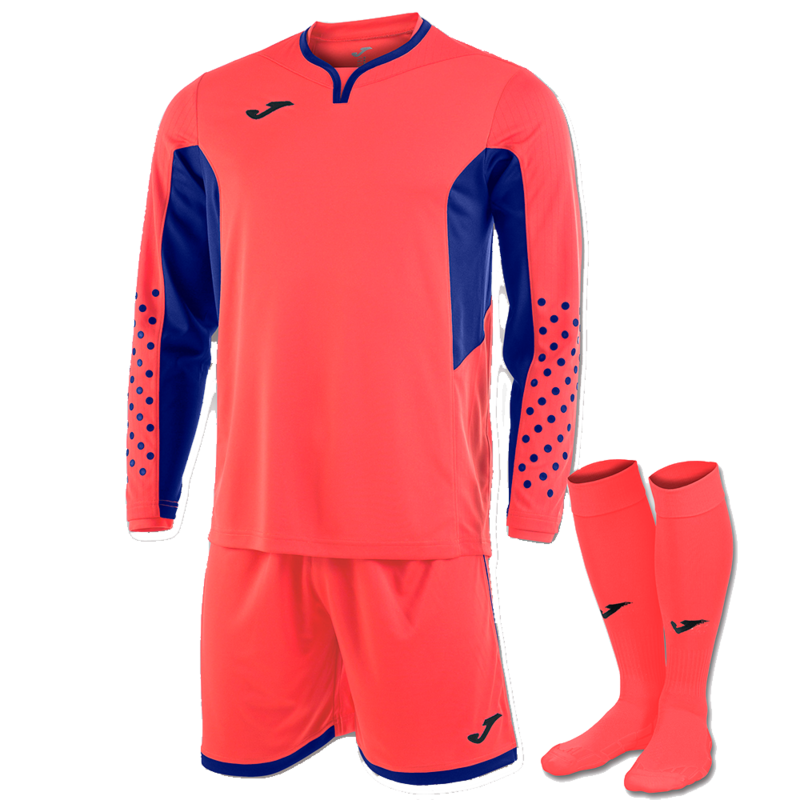 This goalkeeper kit is just what we were looking for. The color is great. I really like the styling of the top. Quality is very good and it seems to wash well. Customer service at Keeperstop is top notch. They answer the phone and are quick to answers questions and resolve any issues. Will definitely order from this site again. Love the Jersey (entire set)! Arrived very fast. The quality is professional and not cheap like most other uniforms. Very comfortable and has a nice fit. Would recommend to others. Great quality uniform. So great I bought 2. Great package. Colours are vibrant and clean. Would highly recommend. My son really really loves this kit! It’s very good quality. I’m a little underwhelmed with the color. I ordered the green one and the color is far off from the one pictured. This is the second goalkeeper kit I purchase. Love the fabric, and is easy to clean. Fast shipping and great prices. 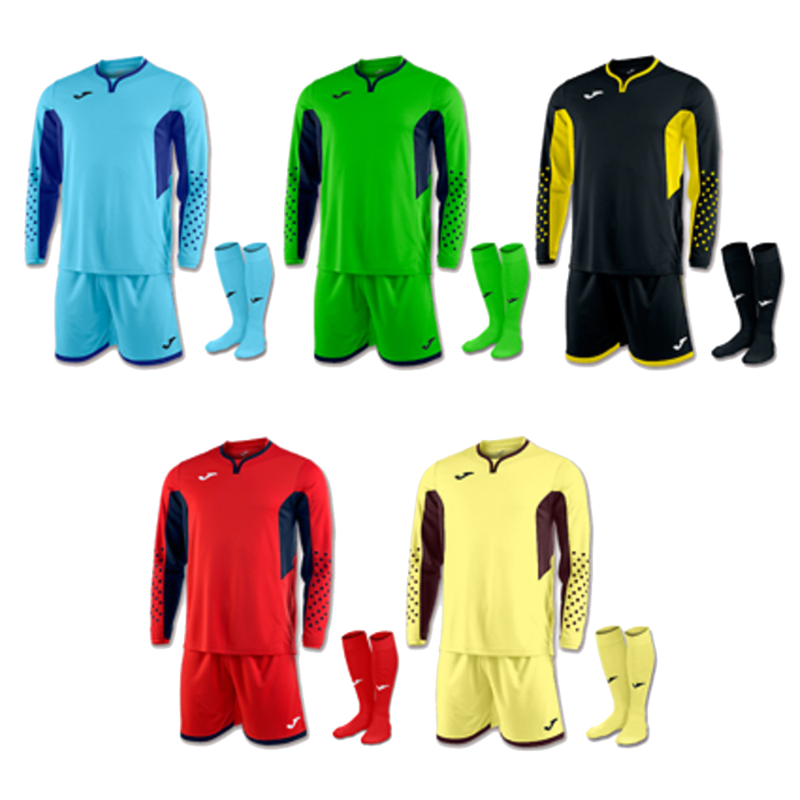 Great goalkeeper kits! Red is definitely more orange than a true red though. My son was happy with this. We got the red, which is an orange-red. He likes the color and the quality. Good for the price. My daughter loves the colors and fit. I washed it once, and it seems no worse for wear.